I’ve always had a flair for the dramatic. I’ll admit it. When I was 6 I pretended to have a walking issue in the pediatrician’s office which resulted in hideous brown corrective shoes. I had to wear them for an entire year. That plan backfired. At 8 I announced to the 3rd grade that I was celebrating Thanksgiving in England and upon my return I went as far as to illustrate my having tea with the queen. It was an elaborate drawing of what I “wished” the queen to look like. 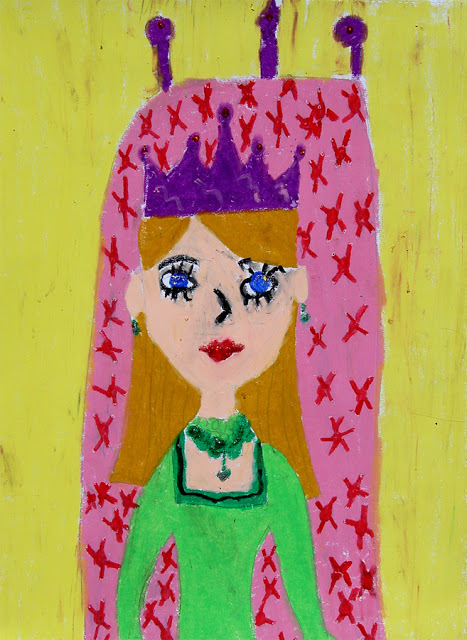 She had blonde hair like mine, a princessy dress and an ornate jeweled crown. The historic drawing of my brush with royalty was hung in a special place for all of Grantley Elementary School to see. But, suspicions were raised as my queen looked nothing like the real queen. Shortly after I went shopping with my mother. As luck would have it, we ran into my third grade teacher…….busted. My mother had 4 kids. I was the third and on an eternal quest to stand out. So it was a forgone conclusion to my family that it was sheer histrionics on my part when I started noticing that my son was struggling. It was as though they thought I had Munchausen Syndrome by Proxy and I was pretending my kid had learning issues for attention. It was mind numbing to not be believed……and so… I just stopped talking about it. Years passed…..many battles fought, won or lost and I kept them to myself. It wasn’t until my mother tried to teach my boys a card game that she “GOT IT”. My eldest was 14 and my youngest 10. My eldest could not grasp it and it was painfully clear he was pretending while my youngest whizzed through the rules and was eager to take his grandmother on. 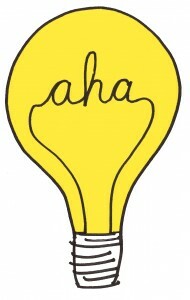 It was an “Aha” moment for my mother. For me it was like having an infected truth extracted. I didn’t know how much pain I was in until I was believed. Category : Life of an Issues Mom, People Who Don't Get it (Boo), What's My Issue? I can so relate to this article! I’ve been chasing my tail for a year trying to figure out what is going on with my daughter. She was diagnosed with APD and while we’re relieved to be able to finally address the issue rather than the symptoms, often people think I made up her issues. Odd how reading an article like this one can lift the stress right off my shoulders. Keep up the awesome blog! Hey Kim, We had APD too and ordinary things were a nightmare…..like birthday parties, school assemblies (my son would have to go sit with the school nurse), the classroom and school lunch. All are loud and chaotic. But we had a marvelous 3rd grade teacher who said, “why not stick cotton balls in his ears?” It gave my son a little relief and a sense of control…….worked wonders! I used to tell my son it was like he was Superman and had super human strength hearing. I’m sure there are other things your daughter is sensitive to. The good news is my son has grown out of a lot of it and was able to integrate it. Thanks for reading and keep us posted about your daughter and how you are doing! It’s so frustrating when even your family doesn’t believe you. We’ve only been living this for about a year but I’m already irritated with the “maybe she’s just manipulating you” or “you just need to be more strict” or… I could go on and on. When your kid turns into a hot mess just because you ripped aluminum foil you know there’s something more to it! Thanks for writing this blog. In the short time I’ve followed it (and I’ve never followed a blog before), you have already made me laugh a lot and made me feel normal for my thoughts and feelings. Keep it going! I have so been there! It’s so frustrating because sometimes there is a little voice in your head that wonders if you ARE being manipulated or you are NOT being strict enough. I know how it feels to be looking for a little support and get judgement or stupid advice instead. Funny how everyone assumes they could do better. I say, “Screw ’em!” NOBODY knows better than you do. NOBODY loves your child more than you do. Stay strong and trust your gut!